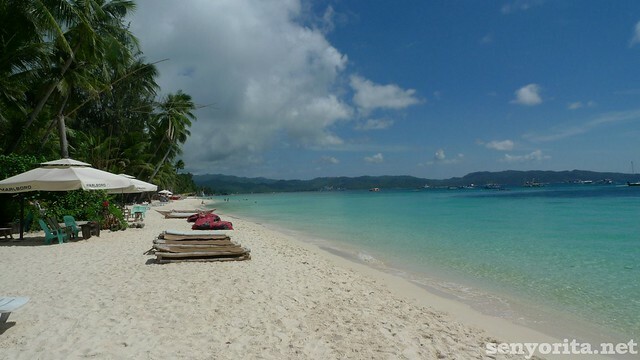 It is a pledge of mine to visit Boracay at least once a year. Luckily for me, I never really paid for any of my Boracay trip airfares. It’s either I won in a contest or a company sponsored for the trip. For this specific trip, I am the one in-charge of my own budget – meaning I need to pay for my accommodation, food and other expenses. 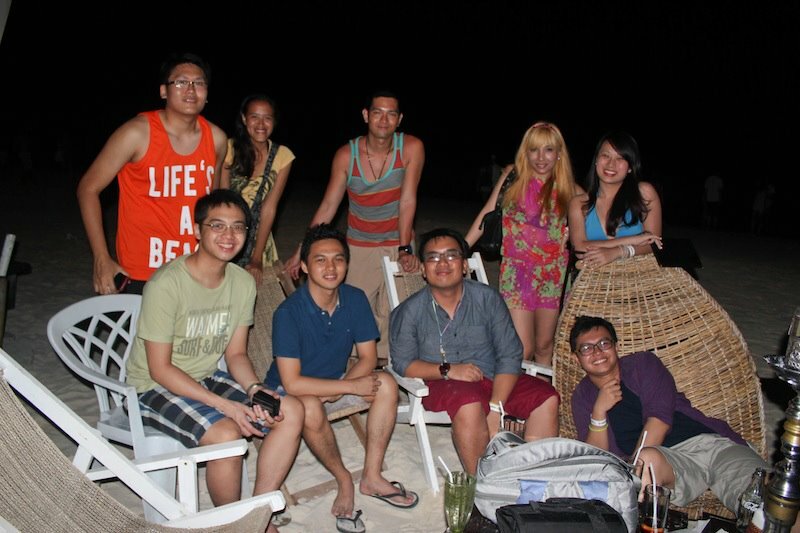 Call it coincidence, some blogger friends of mine were sent to Boracay to cover an event for a telco ON THE SAME Â DATES. The original plan to walk around the beach of Boracay like a heartbroken girl from some random music video for a videoke place and at the same time write something sentimental just failed hehe. I arrived in Kalibo airport at 1PM – which means I lack sleep (I never sleep a night before my flights) and I am hungry. For the first time, I am traveling from Kalibo airport to Caticlan’s Jetty Port then to Boracay Island. It didn’t help that the van driver really squeezed everyone in the van to fit in. I tried to sleep, but I really can’t. I felt a bit dizzy, but a personalized water bottle saved me. While at the ferry boat to Boracay, I found out that Yoshke and Doyzkie were in Boracay too for the event. WHAT A COINCIDENCE! Since it is summer time here in the Philippines, almost all the hotels in Station 2 were either full or overpriced. I’m glad that I managed to list down some possible budget accommodation places in my notebook. 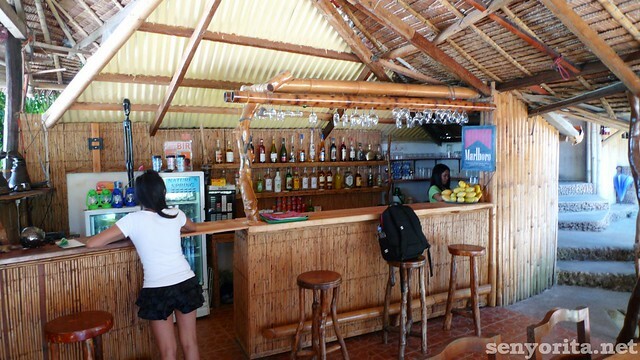 My choices are: Frendz Resort in Station 1 (Fully Booked), White Divers (hmmm.. didn’t feel right) and then my last but most preferred choice is the Boracay Tree House, which offers a dorm-style accommodation to be shared with eight people. I think it is the CHEAPEST accommodation in Boracay. This isn’t my first mixed shared room experience, but I want to give it a try again. Dylan referred this place for me (I think he spent almost a week there). I went up to the information desk hoping that they still have one bed for me. Fortunately, there is one vacant bed! I went to D Mall to meet up with my friends, who were part of the event. I am glad to catch a lovely sunset. 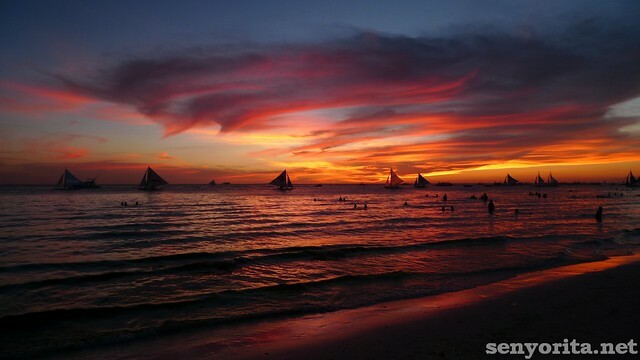 Hayyy… ganda ng Boracay sunset talaga! Sorry for the blurry photo – Photographer is hungry! 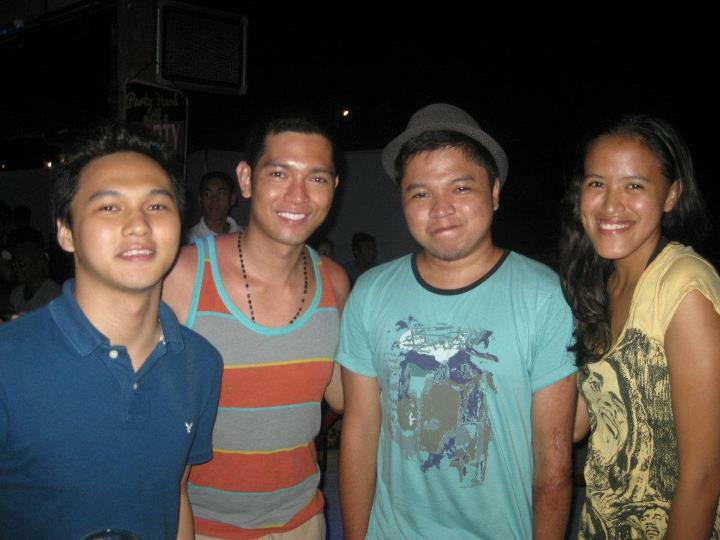 I went back to Boracay Tree House to meet my dorm mates. There’s Ross from UK, Jake from New Zealand, Thamara and Priscilla from Holland & Dominic from Germany. In that instant, we became friends. It’s fun how people from different nationalities instantly become friends when they share a big room due to budget reasons 😛 Now I enjoy staying in hostels but I will only do it when I am travelling alone. Might as well write a separate blog entry about it. I went to ‘D Mall to bother some friends, but they’re not yet done with lunch. I went to Jonah’s Fruit Shakes to wait for them. I drank mocha, but i am not really impressed with the taste. Winston passed by, but he had to leave immediately for work. Yoshke and Doyzkie followed and I immediately brought them to Jonah’s Fruitshakes, which is one of the must-try drinks of Boracay. And with that being said, I joined their event by accident. I admit feeling uncomfortable for being underdressed when I met the fashion bloggers invited for the event. I am glad that my boys were there hihi. Don’t get me wrong – I salute the fashion bloggers for their passion in their chosen field. Effort kaya mag-make up, magbihis at magsuot ng matataas na sapatos. For some too, what I am doing can be a tough challenge. I do admire every person who is not afraid to do what he/she wants to do – even if it means you need to exert extra effort, spend some moolah and step out of your comfort zone. We ate dinner at Epic Bar and I think in our table, only three people ate rice (me included). Diet mode ON WOOT. Alodia Gosiengfiao doing what she does best. The party ended with many photo ops and we moved to another place for drinks and chitchats. I haven’t really seen Coy, Kring and even Winston for such a long time! Later on, Brian joined us. He is in Boracay as a DOT guy. Coincidence, right? He was with two cool friends named TJ and Jack. 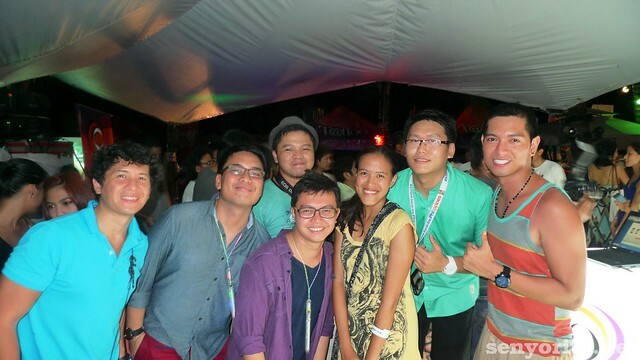 Bloggers in Boracay after the Parteeh! Right after partying, we all went to the beach front to gaze at the stars, play with the fine sand of Boracay and make fun of each other. 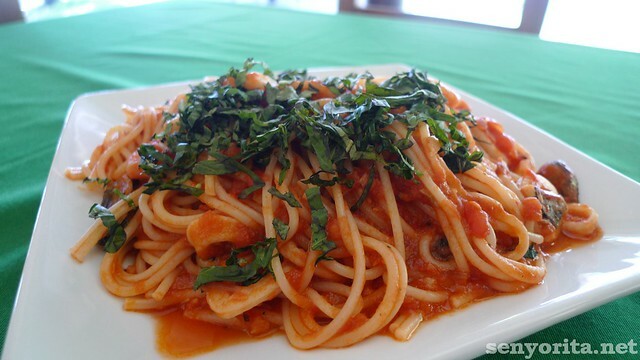 I woke up late (again) and had Pesto Spaghetti for brunch. I had a good conversation with Ross then I joined him and Priscilla to the beach. They do really love it in Boracay. Who wouldn’t especially in the part where we are? I am thankful that Station 3.5 is not that crowded and it is less noisy too. I left at three in the afternoon and felt sorry for myself that I couldn’t stay longer. I’ll be back soon, Boracay. 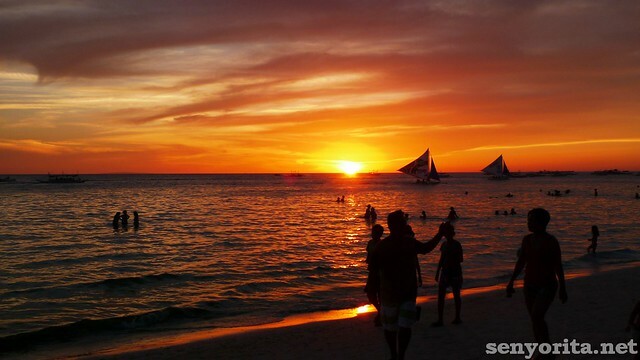 I left Boracay with fun memories with me. I was able to meet new friends and at the same time reunited with some of the people I miss the most. I am looking forward to my 6th visit and hoping to stay longer! Previous Post The Spice World Dream: Spice Up Your Life! You’re lucky Mica, your friends were there. I see that you really had a great time. Most of the people there were foreigners that it felt like we’re not in the Philippines at all. Glad you enjoyed your stay in Boracay! Where are you now Mica? Swoon. Lovely post Mica. When are you going to take me to Philippines and make me your dorm mate? I want to swim in that lovely blue pool and throw my swimming gear back out on the beach. Promise me we will? 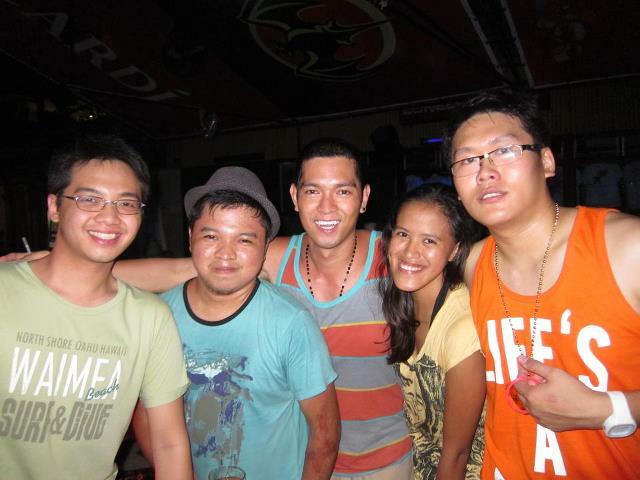 I miss Boracay! Eto yung beach na di ka magsasawang puntahan kahit crowded sya! Hehehe! Where is Station 3.5? I sort of disliked the crowded areas. Hahaha. I was looking for something with less people. I’ve walked the long beach but whatta fail. Hahaha. Nice meeting you Mica! Enjoyed reading your entry. Wow gusto ko rin matry ang hostels. I’ve never tried it. At bilib ako sayo guurl! Mag-isa ka lang. Bongga! Di ko kaya mag-isa kung ako yun! hmmm… kelan kaya walang planned or unplanned blog-related activity pag nasa boracay ka? Hehe oo nga pero worth it naman ang alay-lakad hehe 😀 mas malinis at tahimik compared sa ibang station. Haha goodluck sa meet-up with honey’s family <3 nakapag-Boracay Tree House ka na? ang sarap naman magtampisaw sa Boracay! 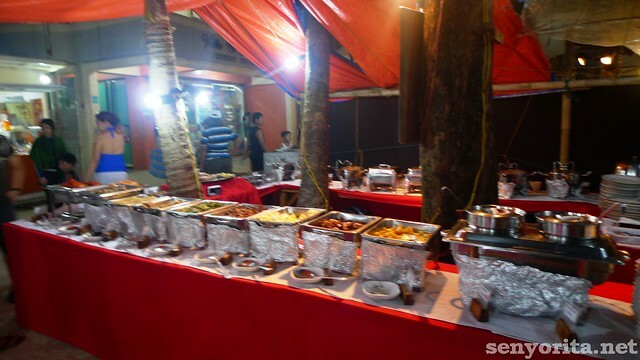 How I wish makatungtong rin ako dyan at matry ang mga masasarap na pagkain with my family. Thanks for sharing your wonderful trip!